What is a waterproof smartphone? Imagine the situation. You go to a party. You leave your phone on the table. And someone, accidentally, spills a drink upon it. You would be surprised to know how often this happens. Or here is another one: the heavens opened, and you have an important call to answer. How your precious iPhone will survive it? Well, this is what waterproof phone cases are for. Basically, it is a device, created specifically to be tough enough and work reliably no matter what. So your information will be safe. X-Systems are renowned for making such gadgets. Netherlands-based company, it creates smartphones and tablets not just water, dust or shock proof (will survive a significant drop), but theft proof as well. Yes, all devices are running on a special OS, which encrypts your personal information. So not only Mother Nature won’t damage your phone, but people as well. So what is a waterproof phone case? While answering the question, X-Systems has created a whole new level of protection. By thoroughly choosing the materials and smart engineering the company has built ragged, outdoor-orientated smartphone and tablets, used by professionals, who know that to be connected at any circumstances can’t be overpriced. The rugged Dual-SIM smartphone X-Tel 7500 works with the Nucleus Android OS modification which differs from the other Android platforms with its low consumption – up do 80% lower energy consumption. This smartphone offers you the option to use it in whatever meteorological condition you have to work or travel. This rugged model is made to endure in temperature from -20 to 80C. You can connect the world via Wi-Fi and secure your data thanks to its military IP68/ IPX8 certifications which makes your X-Tel 7500 reliable in any situations. The phone is water-, drop-, vibration-, freeze proof. Its durability goes for up to 12 days in standby mode and 56 hours working time. 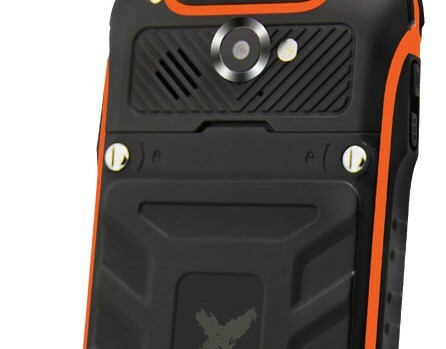 Rugged X-Tel 7500 is made by X-Systems and you can use it in any language you’d like. This smartphone is compact and light. Save your memories with 8MP back camera and 1.3 MP front camera. The touchscreen is protected by Corning Gorilla Glass 2.0, the processor is Quad-Core, 1.2 GHz and if you want, you can add more memory to save your data with MicroSD card. 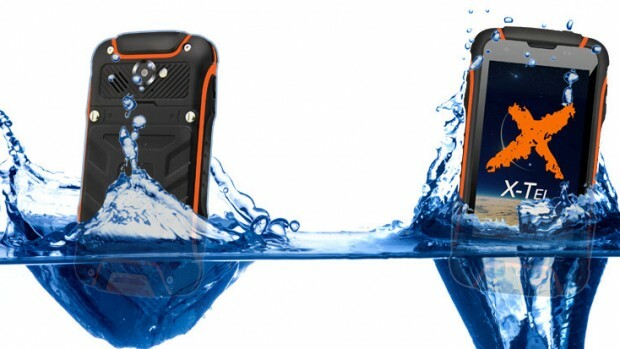 The rugged Dual-SIM phone X-Tel 7500 is developed for people who love adventures and the outdoor style of life. For any dangerous situation you can use the unique SOS Panic button. © HEXA-Proof Extreme Smartphone | Extreme-Smartphone.com All Rights Reserved.